Ain't That Sherific? : Fun with paint . . .
Fun with paint . . . 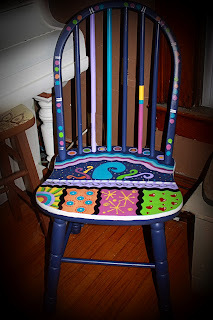 Nothing perks up your evening more than a garbage find chair or stool and some paint. So cool! I love these! GREAT job!